Question: What’s the Best Way to Adjust pH If I’m Growing in Organic Soil? More info: I’ve heard that many pH control kits can kill beneficial bacteria in the soil. I was watering my cannabis plants tonight, and I mixed in a half strength dose of bloom nutes. So I test the PH and it is right in range, about 6.5. When I tested the runoff, it was really acidic at around 5.5. What am I doing wrong, and how do I correct pH in my organic soil without hurting the micro-organisms the help the roots? As long as you’re starting with a good water source, usually you don’t have to think too much about pH during your grow. 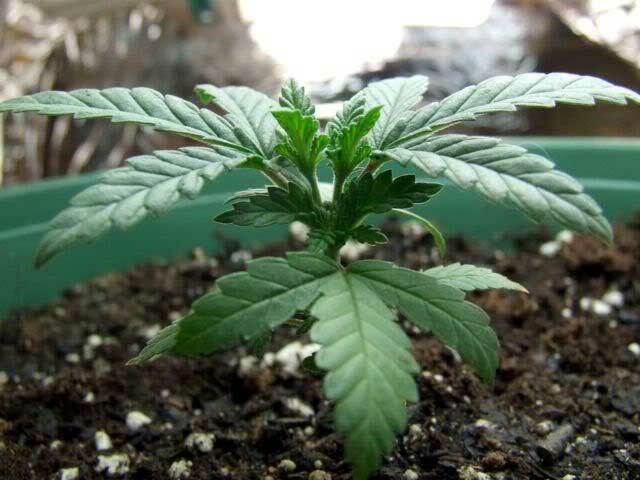 However, when growing cannabis in organic soil, some of the most important things happen before you even germinate your plants. The more effort you put into starting with great organic super soil, the less you’ll have to worry about during the actual grow itself. If you’ve set things up properly, pH won’t be a problem for you! When growing marijuana organically in a super soil environment, there are tiny organisms in the soil that break down nutrients and “feed” them directly to your roots. When you enlist the microorganisms to do the work of making nutrients available to the roots, pH management stops being something you have to do! When growing organically, you also depend on your soil and the various components to automatically buffer the pH. Starting with the right soil will make things a lot easier for you! Don’t let your nutrients run out! 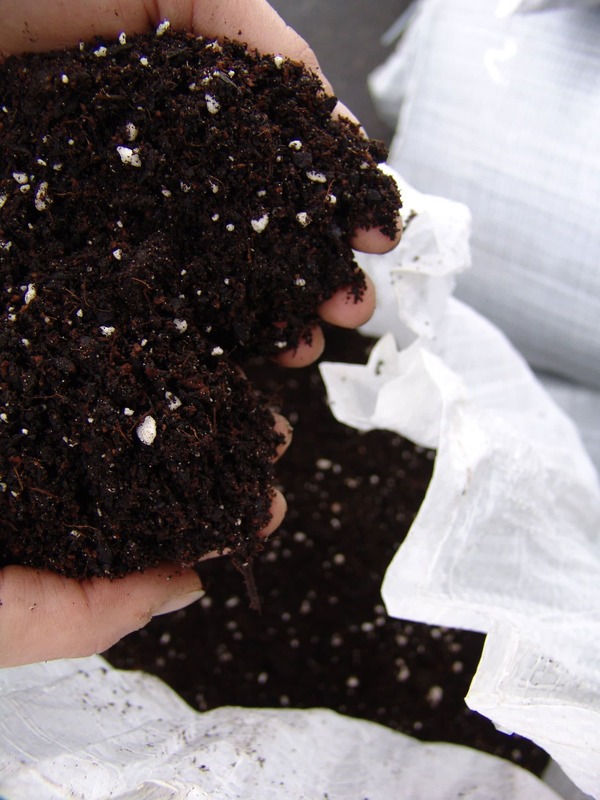 If you’re starting with regular (non-composted) organic soil, than your plants will quickly use up all the nutrients in the soil and you will either have to transplant to new, fresh soil every 3-4 weeks or supplement with a proven organic nutrient line like the GO box. It’s especially important to make sure your plant doesn’t run out of nutrients in the flowering stage or it will dramatically lower your yields! 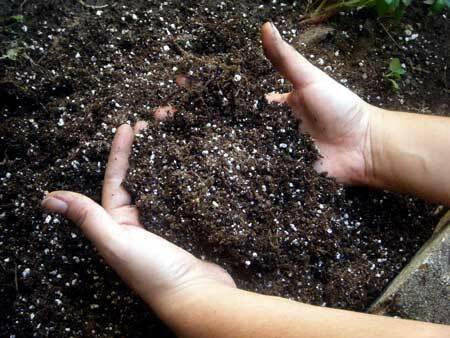 Once of the cool things about composted soil is the nutrients break down slowly over the course of your grow, giving your plants the right amount of nutrients at the right time. But if you are using liquid nutrients, it becomes important again to make sure you’re testing the pH of the water going in and out. Even organic liquid nutrients are only readily available to your plants if the pH is in the right range. But since you don’t want to disturb the microorganisms in the soil, try to only actually adjust the pH if you notice pH nutrient problems in your plants. 2.) Organic Ways to Adjust pH – For When There’s a Nutrient Problem! If you’re seeing nutrient problems on your plant, and you know your plant hasn’t used up all the nutrients, the first thing to always check is the pH! Check the pH of the water that’s going into your plant, as well as the runoff water that’s coming out the bottom. In soil you want to maintain a pH of 6-7. If you do notice nutrient problems, the first thing to do is check the pH of the water going in and out! If your pH is outside the 6-7 range, you may need to adjust the pH to avoid further nutrient lockout on your cannabis plants. But since you’re growing in organis soil, if you do want to adjust pH, you should use an organic source. Luckily, there are natural sources of PH Up and PH Down, many of which you can actually find around the house! Note: Dolomite Lime acts as a natural pH buffer and will help keep the pH constant when added to your soil during the compost process. It can also help correct acidic soil up to a certain point. If you have just realized your soil pH is too low, try to find powdered dolomite lime, as the larger chunks take longer to break down, though be careful that you don’t add more than instructed, lime is “hot” (has relatively high levels of nutrients) and can burn your plant in too-high doses. The larger chunks should be okay if you’re just looking for a pH buffer. Using an inorganic pH adjuster (like the pH Up and Down that come with most pH adjustment kits, for example the General Hydroponics pH kit) may actually damage your microherd (beneficial bacteria) and can set your marijuana plants back as far as nutrient breakdown / absorption is concerned. When do I harvest my plants for peak potency? How do I train plants to take best advantage of my grow light?